The Gatehouse to the inner courtyard as seen from what was once the outer bailey of the castle. The Gatehouse is the oldest part of the remaining castle dating from the early 13th century. The outer bailey would have been the centre of castle life filled with buildings concerned with administering the castle and manor. 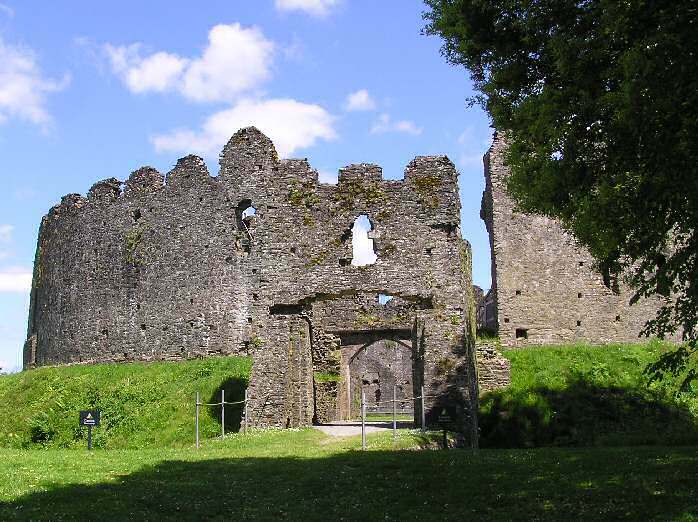 The inner bailey or courtyard would have been reached through the gatehouse and would have been the inner sanctum of the castle only entered by the lord and his retinue.